Sometimes I crave dessert from my childhood. 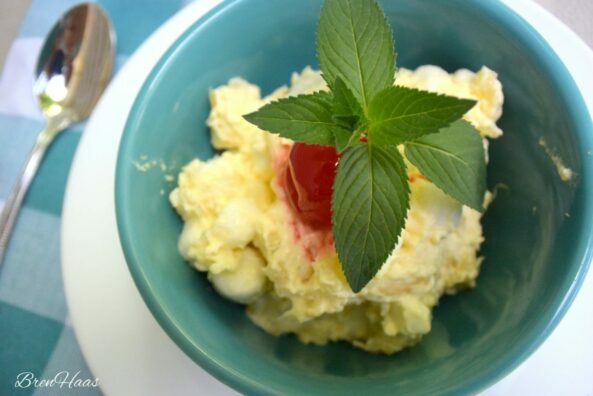 This pineapple almond fluff salad recipe is one that takes me way back. The recipe is super easy and will make everyone at the next get together think you spent hours whipping this up! The really fun part about this recipe is you can add walnuts, pistachio or pecans. Make this YOUR recipe by adding your favorite nuts and additional canned fruit. Don’t forget to click the print button and start your own recipe book to store in the kitchen. 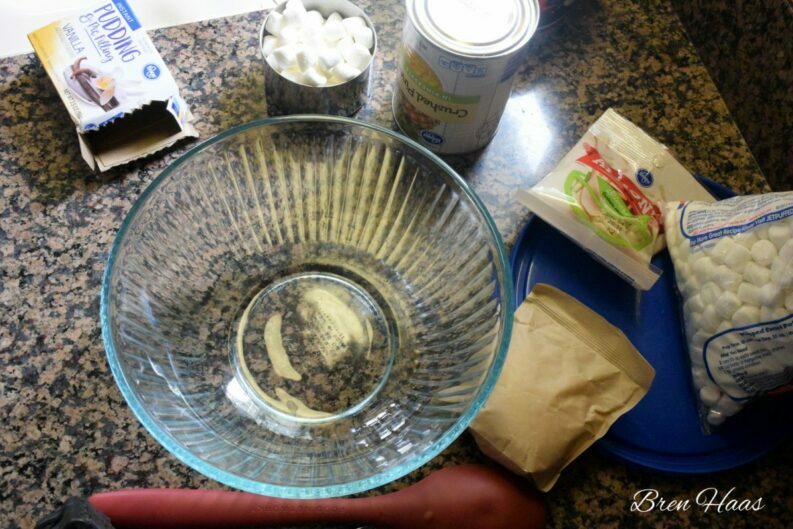 In a large bowl, combine whipped topping, pudding mix. Fold in the marshmallows.nuts and pineapple. Just before serving, decorate with cherries and sprig of mint. My Neice shared this recipe idea with me and I took it and ran adding a mint leaf and my own measurements. This recipe is a spin on the traditional Ambrosia. The Ambrosia dessert is a variation on the traditional fruit salad. Most ambrosia recipes contain fresh or sweetened canned fruit, miniature marshmallows, and coconut. I went to Kroger – ingredients ready to go! I had the camera rolling in the kitchen as I whipped up this easy dish. 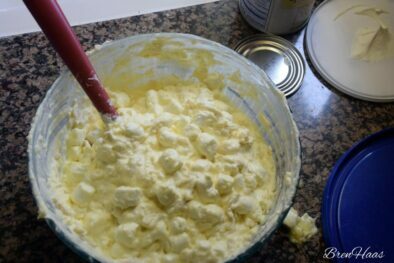 I hope I didn’t miss anything … it is so super easy to create this Pineapple Almond Fluff Salad Recipe! Were you able to try this recipe or have you had it before? I would love to hear from you so please comment below. Readers are welcome to click over to my contact page and write to me. I hope to connect with you soon. Bren, will modify due to people in our house can’t eat milk products that aren’t cooked/processed, also trying real whipping cream, will let you know how it turns out. Imagine could use tapocia instead of pudding and may even try that, for a different taste. Oh, I love those ingredient alterations. I might try that too! Thank you Mary for sharing. This is really good and so easy. Next time I will use fewer marshmallows. I didn’t measure because I was going by memory when making it. 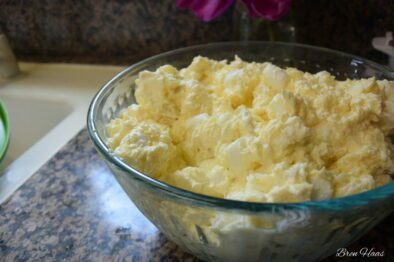 Reminds me of a dessert salad I make using similar ingredients but with cottage cheese. I added a little to a bowl to see what it would taste like. It is good, tames the sweetness, but gives it a more lumpy texture. 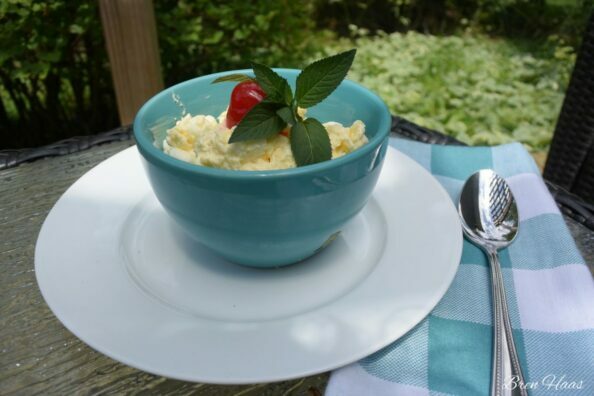 Thank you for stopping by and sharing your experience with this recipe with me Sally. I sometimes ‘wing it’ and add the marshmallows to what looks tasty at the time.